Reduced dimensionality NMR spectra usually require very large spectral widths in the shared dimension. 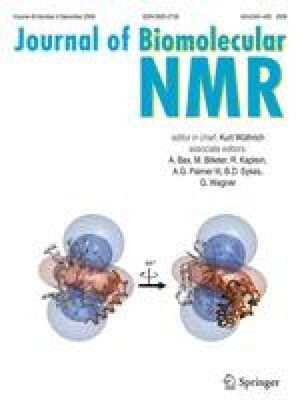 In this paper we show that aliasing can be introduced in reduced dimensionality NMR spectra either to decrease the acquisition time or increase the resolution of the experiments without losing information. The gains of introducing aliasing are illustrated with two examples, the (3,2)D HNHA and the (4,2)D HN(COCA)NH experiments. In both cases a reduction of the spectral width of more than 50% was possible. This work was supported by project CTQ2008-00080 from the Spanish Ministerio de Ciencia e Innovación. D.P-U. was supported by a “Juan de la Cierva” contract from the Ministerio de Ciencia e Innovación.